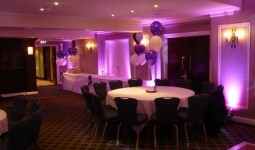 Welcome to 1Entertainments.com professional Wedding DJ hire and Wedding Lighting Hire in the UK. We are one of the UK’s premier Wedding DJ suppliers offering you both a bespoke and personal service for your wedding. Based in Milton Keynes, Buckinghamshire, this makes us ideally located to serve most parts of the UK. 1Entertainments believe that your wedding is unique and believe in treating you and your wedding with the respect and the attention to detail you deserve. 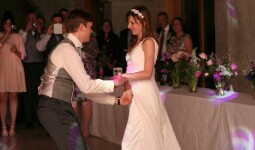 We do not believe in a one size fits all approach to your wedding disco and Wedding DJ. That is why we offer to bespoke our services to your requirements and this all starts from the moment you book your DJ with us. The price we quote will be the price you pay and we have No Hidden Charges! Once you have booked your 1Entertainments DJ we start by giving you a dedicated section of our website to build a playlist of music you want your wedding DJ to play. You have complete control over the music your wedding DJ plays and can create a list of “Must Play” and “Must not play” songs. 1Entertainments have a collection of music that covers all genres and styles and the experience to know what works well, and to read each crowd, but believe that your DJ should also play the music you want.